Castifi works with casting directors across the nation to staff extras on TV shows like CBS’s Seal Team and TNT’s I am the Knight. Background actors register through their mobile devices, update their profile, set their availability, confirm bookings, and get paid through the app. Production companies can post jobs, search for and hire actors, send digital paperwork, pay actors, and manage them on set with digital time cards for both union and non-union jobs. “Extras casting and crew management are common problems for production companies as they scale for distribution into Netflix, YouTube, Facebook, and other streaming platforms. Castifi has built a unique system from the ground up offering last mile support by providing proprietary software for production teams on set. We are very excited to be working with GreenSlate. Castifi’s clients now have the benefit of GreenSlate’s production payroll expertise, and GreenSlate clients can leverage Castifi for all their background needs,” said Rumala Sheikhani, CEO at Castifi. Save time, save money, and streamline workflows with a paperless on set and payroll experience with Castifi and GreenSlate. 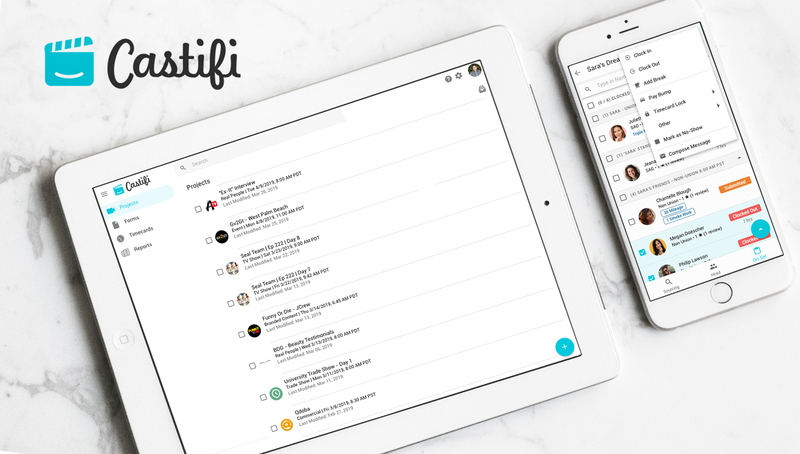 “What’s great about Castifi is the way it streamlines the casting process and reduces hours of administrative tasks. You can source all background actors through one booking platform. Previously, it was painful to hand off payroll manually with available solutions, but now with our combined industry-leading staffing and payroll expertise and technology, we can eliminate inefficiency and keep productions at the forefront of technology. Our integration is built to do just that. The added benefit is that we make productions more environmentally sustainable,” said William Hays, CMO at GreenSlate. For more information about Castifi, visit www.castifi.com, or contact Castifi at sales@castifi.com or (866) 894-7885. To learn more about GreenSlate, visit www.gslate.com, or contact GreenSlate at sales@gslate.com or (310) 789-2001.